The 21st century solution to power all your appliances, tools and gadgets. 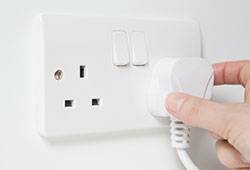 Wherever your power supply is located our range of power sockets are ideal. They offer standard 3 pin connectivity and the option to power or charge your gadgets using USB adapters. Convenient and practical; that's how people describe MonsterShop power sockets. We will even get it to you super fast using our FREE next day UK delivery service.